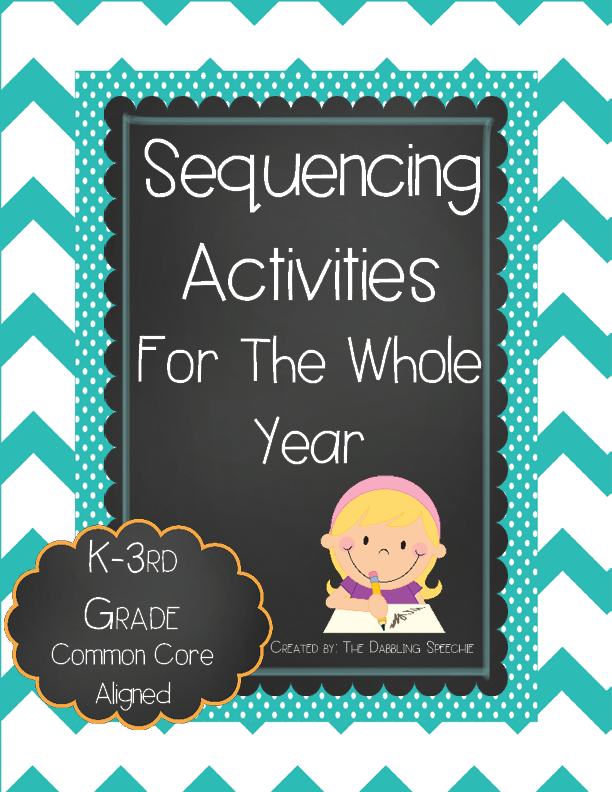 I love sequencing activities because they cover soooooo much language and also teach early developing executive functioning and organization. This pack is filled with cut n' glue worksheets for 3 and 5 sequence steps, draw what happens next (targets cause and effect), and cut n' glue silly sentences. My favorite activity sheets have cut n' glue sentence strips for what happens first, second, third, etc. and then the student draws a picture of the sentence. Grab this sequencing pack in my TPT store! For more pics and info about this set, check out my BLOG.